SCOTLAND is set to receive its own internet domain after an international authority gave permission for the country to have its own unique web addresses. Not-for-profit company Dot Scot Registry (DSR) has announced that it has agreed terms with international regulators to operate a new .scot domain. The International Corporation for Assigned Names and Numbers (Icann) has given the go-ahead for website addresses ending in “.scot”, as an alternative to “.co.uk” and “.com”, following a campaign by the not-for-profit company Dot Scot Registry (DSR). 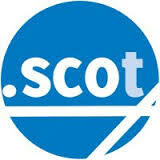 The internet domain for Scotland could be available in time for this year’s Glasgow Commonwealth Games. Set up two years ago to push for a Scottish internet domain, the DSR has received backing from the likes of First Minister Alex Salmond, actor Sir Sean Connery and entrepreneur Sir Tom Farmer, who believe the “.scot” ending will help promote Scottish culture and identity. First Minister Alex Salmond said: “2014 is an exciting year for Scotland, and I’m delighted that this distinct online identity for the nation, and all who take an interest in Scotland, will become available this summer. “Scotland and Scottishness conveys a whole range of positive connotations, which could not really be portrayed on the web before, but with a .scot domain there will be a new option anyone involved in Scottish business, arts and culture and others to identify themselves more clearly as Scottish to the online world. “We aim to make .scot domains as affordable as possible and our not-for-profit structure means we will be able to do so.